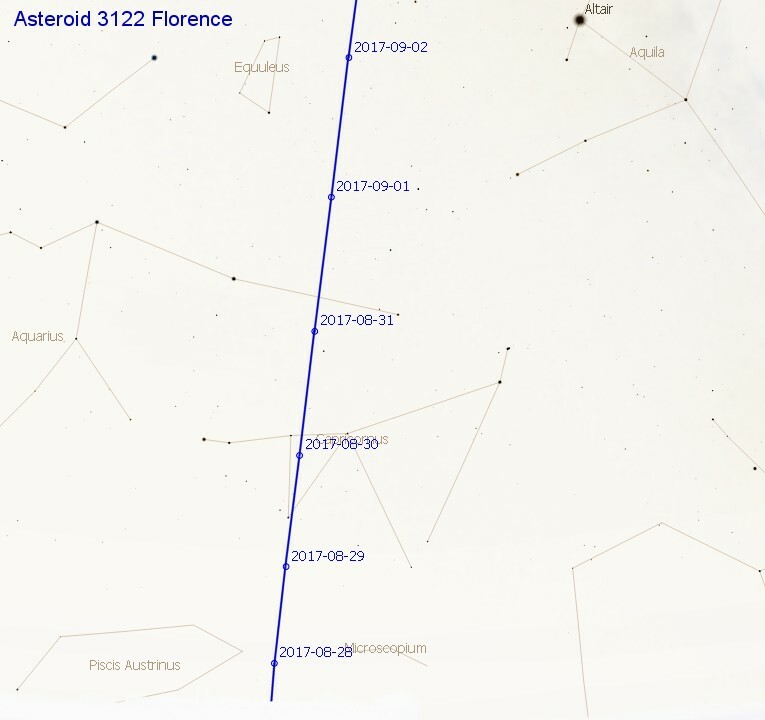 Potentially hazardous asteroid 3122 (1981 ET 3) Florence (named after Florence Nightingale) was discovered back in March 1981 by American astronomer Schelte Bus at the Siding Spring Observatory, New South Wales. It orbits the Sun once every 2 years and 4 months. 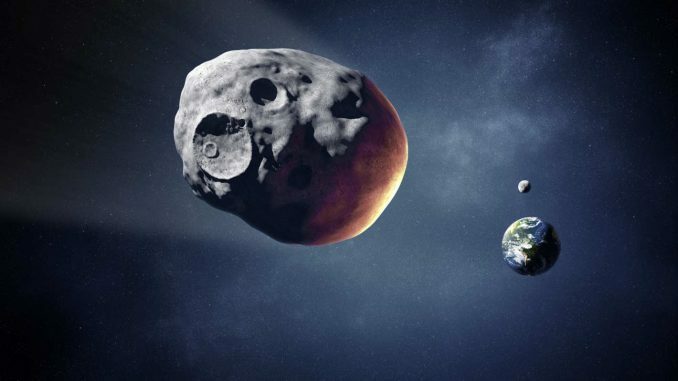 On September 01, 2017, the 4.35 kilometer space rock will fly by the Earth at a distance of just under 4.4 million miles. It sounds far but this is close enough for an object of this size. 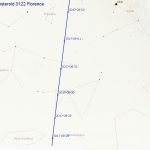 One of the largest asteroids on the Potentially Harzardous Asteroid list, it can be observed in a small telescope if you know where to look. 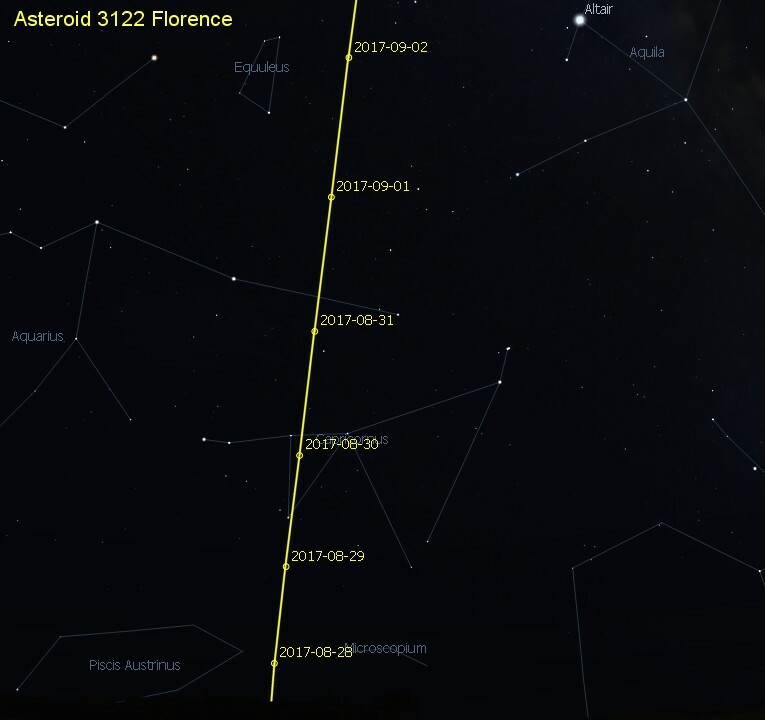 This is the closest this asteroid has passed the Earth since 1890. 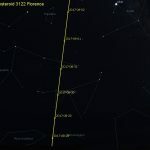 Current estimates expect the asteroid to reach around visual magnitude 9 making it a relatively easy target for backyard astronomers at a dark site. 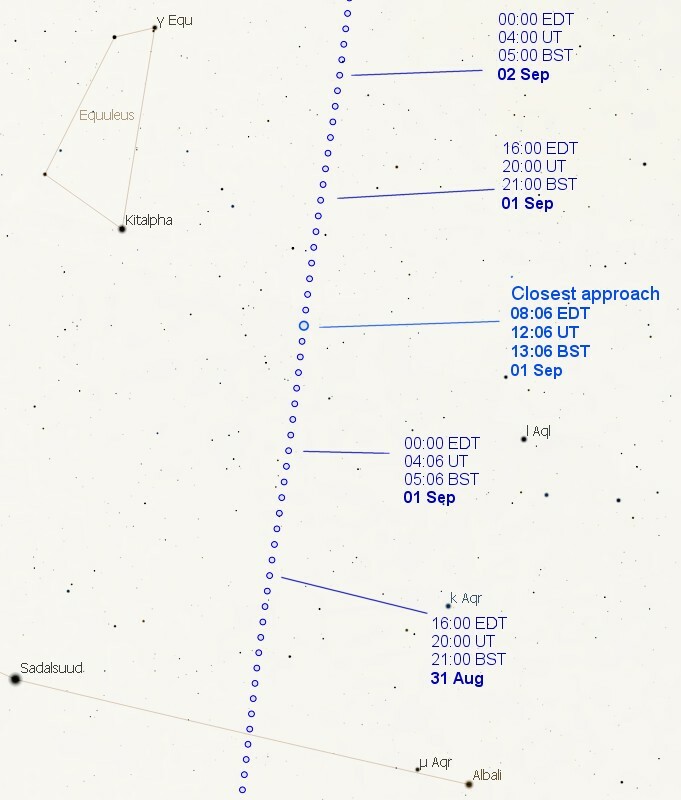 It will be travelling at over 30,000 miles per hour however because of its distance, the small speck of light will appear to move quite slowly in the sky against the background stars. 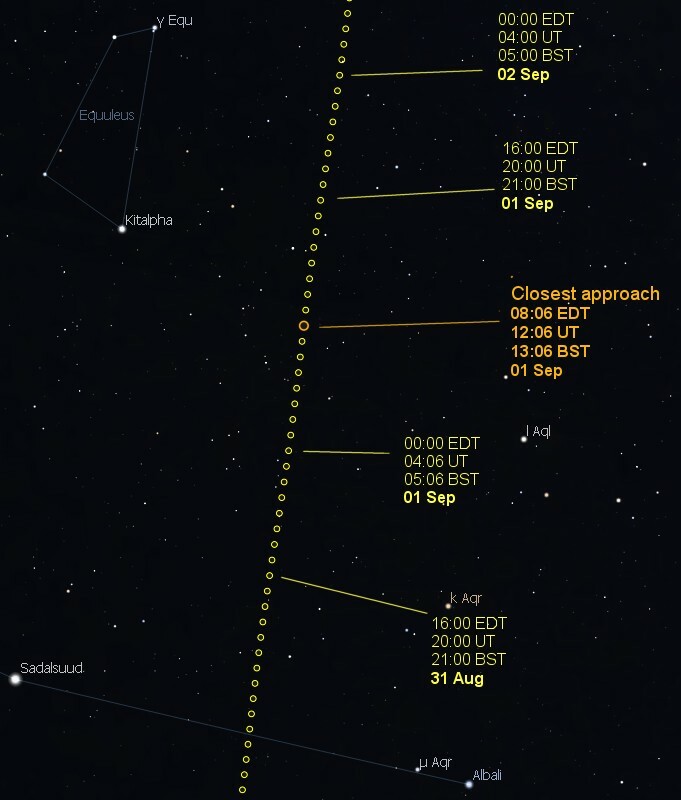 The point at which it reaches closest approach to Earth is at 12:06 UT (08:06 EDT, 13:06 BST). For many of us this means it will occur during the daytime so many amateur observations may be made in the nights before or after this time. 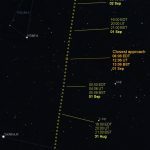 NASA are ready and poised to take measurements and high resolution images of the asteroid as it passes the Earth between August 29 to September 8. 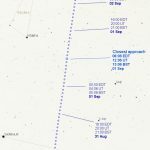 By the end of August, the space rock moves in to Capricornus making it visible from the northern hemisphere low on the Southern horizon. What is UT & BS? Is the 8:06EST AM or PM time? Where do I find more details for my area, Yuma, Az? UT stands for Universal Time. In Arizona you are in MST,(Mountain StandardTime, UT-7). So in Yuma 12:06 UT = 05:06 (am) your local time. However it is not essential to observe the asteroid right at this time. Anytime tonight or tomorrow night will be good (using the finder charts above). Good luck!